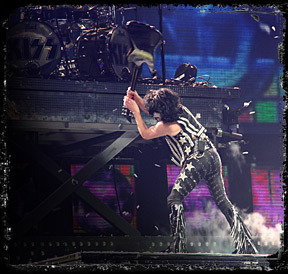 Reserve Paul Stanley’s guitar, SMASHED in your honor and personally inscribed as you choose by the Starchild himself! Meet Paul on the 2010 Sonic Boom Over Europe Tour and get the most collectible KISS guitar of all… the one Paul Stanley BREAKS at the show you attend! 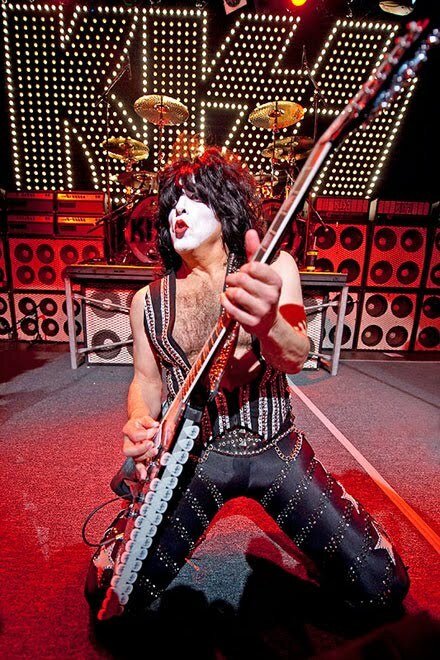 There is only one Paul Stanley Washburn guitar broken at each show, so only one is available for purchase per each city on the KISS Sonic Boom Over Europe Tour. You have a once in a lifetime opportunity to buy this exclusive collectible & meet Paul Stanley on the KISS tour! 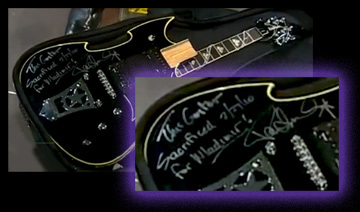 * The Paul Stanley Washburn guitar, broken and autographed by Paul himself at the show you attend! * A meet-and-greet with Paul for you and one other person at your selected city on the KISS Tour prior to the show!